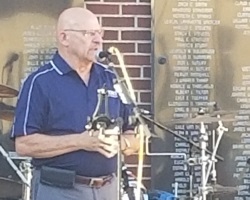 Ponca City residents who have seen many anniversaries of the city’s founding — as well as those too young to remember more than a couple, if that — celebrated Friday night at the Veterans Plaza at Fourth Street and Grand Avenue. 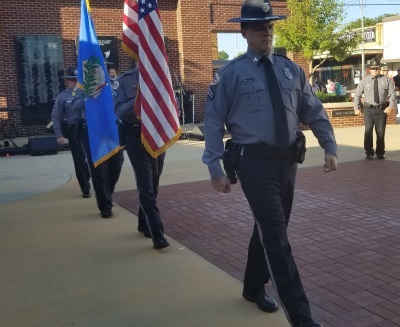 The evening’s events started with a color guard formed by officers from the Ponca City Police Department, along with the singing of the National Anthem and the state song, “Oklahoma!” Mayor Homer Nicholson also spoke welcoming remarks to those attending. 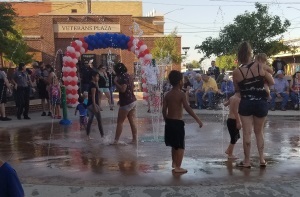 Those attending were treated to free hot dogs from the YMCA and free cold drinks and cupcakes from Ponca City Main Street, along with adult beverages sold in the beer garden. 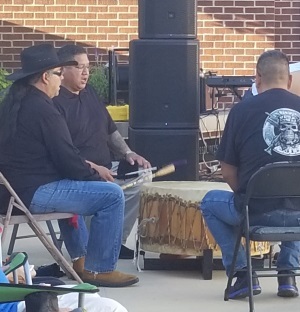 Native American singers and dancers shared their traditions that are tied so closely to the history of the area. 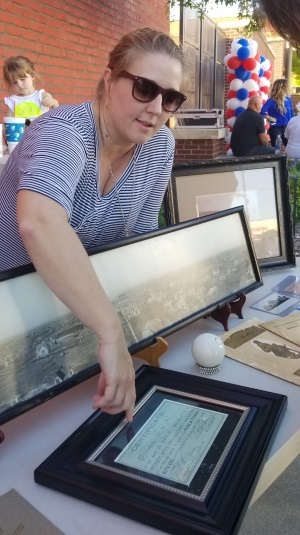 Local historians shared artifacts from the 1893 Cherokee Strip Land Run, as well as newspapers reporting life here in the early 1900s. Historic re-enactor Robert Bodick portrayed E.W. Marland, talking about how events in his lifetime affected local history. One bit of history was a deed which belonged to Ponca City’s first Mayor, B.S. Barnes, showing that he had purchased 160 acres and then divided it into indivdual city lots which were sold in a lottery to establish the city of Ponca City, just five days after the Land Run. 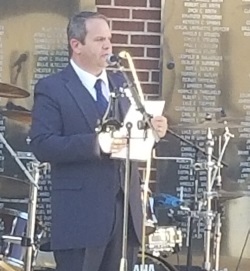 Music from Band #9 entertained the crowd as the sun started setting, and then with the arrival of dusk, the crowd was treated to the showing of the musical film “Oklahoma!,” featuring the music of Rodgers and Hammerstein.